Study the present perfect tense in English. Keep reading to learn how to use the English present perfect verb tense. After you have read the present perfect rules and examples, try to do the free present perfect grammar exercises below. Make sure to download this free English grammar lesson for use at home or in your English classroom. I have also included a teacher’s guide at the bottom with classroom ideas. Let’s study the Present Perfect Tense in English! Remember, V3 is what I have chosen to call the past participle. Regular verbs take the -ed ending and you must memorize the irregular verbs. Check out this convenient list of some common irregular verbs in English. Present Perfect Use: To show an action or condition that started in the past and continues until the present time. Present Perfect Signal Words: Pay attention to the words below as their use may signal the use of the present perfect. How long have you been together with her? I have been with her since 2007. How many days has it been since you last saw him? I haven’t seen him since Tuesday, so 3 three days. How long has she lived in Moscow? She has lived in Moscow for 8 years. How many years have you had that bag? I have had that bag for a few months. SINCE points to the BEGINNING of a period of time. SINCE is followed by a particular time in the past. FOR shows the LENGTH of a period of time. FOR is followed by a period or amount of time. Have you seen the movie Boyhood? Yes, I have seen it a few times. Have you heard from her? No, I haven’t heard from her yet. Has she ever invited you to her house? Yes, she has invited me many times, but I have only been once. Has Sarah visited Greece? No, she hasn’t visited Greece. Present Perfect Use: To describe an experience or accomplishment in a ‘recent past’ time or a time period that is not finished. Have you worked on the project yet this week? Yes, I have already worked on it quite a bit this week. What movies have you seen recently? I haven’t seen any movies recently because I have been too busy with my English lessons. Have you seen her today? Yes, I have seen her a few times. She is around here somewhere. Where have you traveled this year? I have taken two trips this year. I have visited Miami Beach and Chicago. Present Perfect vs. Past Simple: Complete the sentences with the best form of the verb given. 1. Last year, Svetlana _____________________________ (see) Cirque du Soleil in Las Vegas. 2. I _____________________________ (not watch) a French movie in years; I’d like to watch one soon. 3. Bela _____________________________ (go) to several different clubs since he arrived in Miami. 4. She _____________________________ (live) in Miami for many years. 5. Julia _____________________________ (study) Turkish several years ago. 6. I (never, travel) ___________________________ to Alaska. 7. I (know) ___________________________ my best friend for many years. I (meet) ___________________________ him in kindergarten. 8. Shakespeare (never, go) ___________________________ to China. He (be) ___________________________ dead since 1616. 9. Vladimir Ilyich Ulyanov Lenin (die) ___________________________ on the 21st of January, 1924. 10. _____________ you ______________ (see) any good movies lately? 11. How long _____________ you ______________ (run) for yesterday? 12. How many times ____________ Erica _______________ (be) late to class this week? 13. Elizabeth ___________________________ (teach) at this school for 10 years now. 14. Ethan and Jack ___________________________ (plan) the surprise party all week; it should be fun! 15. Every plant that I ___________________________ (have) in my life ___________________________ (die). 16. Last night Jenny ___________________________ (tell) me all kinds of juicy gossip. 17. Where ____________ you _______________ (be)? You are very late for class and you missed the exam! Below are some ideas you can use to teach your students the present perfect in English. If you have any more ideas, please let me know by commenting below. 1. Have students brainstorm questions to ask their classmates about their current life, possessions, relationships, etc. with ‘How long have you …..?’ Have students ask and answer questions, adding follow-up questions to get more information/details. 2. Introduce “Two Truths and a Lie” by writing three present perfect statements about you on the board. Use things the students don’t already know about you; two should be true, one false. (I have eaten insects. I have climbed a mountain…” Students should ask questions in present perfect or past tense to get more information. Let them know that you CAN lie, so they have to ask good questions to trip you up and find out which is false. Take a vote to see which one they think is the lie and reveal the truth. Give students time to write three statements about themselves. In a bigger class have them work in pairs or small groups to ask questions and guess the lie; in a smaller class, have one student write their statements on they board and play as a class. 3. Teach students the contraction of have, when using the present perfect in conversation. Have students write sentences using the contracted form of have and then read them aloud to the class practice the contractions. 4. Have students write down “crazy” experiences they have had using present perfect, crumple them up, and toss them into the middle. Then have each student pick one paper and find the student who wrote the sentence and discuss the experience with them. For homework they can write a summary of their friend’s experience. 1. Using the simple past, ask students to describe an important historical event from their country. After each student finishes, have the other students ask questions using the present perfect about how things have been since the event. Example: How has airport security been since 9/11? Have a lot of people lost their jobs since the beginning of the crisis? 3. Discuss general attitudes towards certain social issues (gun laws, gay rights, etc.) and how they have changed in the past few years or decades. How have your attitudes changed since you came to Miami Beach and why? 4. Remind students of the contraction form of have when using the present perfect in conversation. Have students write sentences using the contracted form of have and then read them aloud to the class practicing the contractions. Many more FREE English lessons! 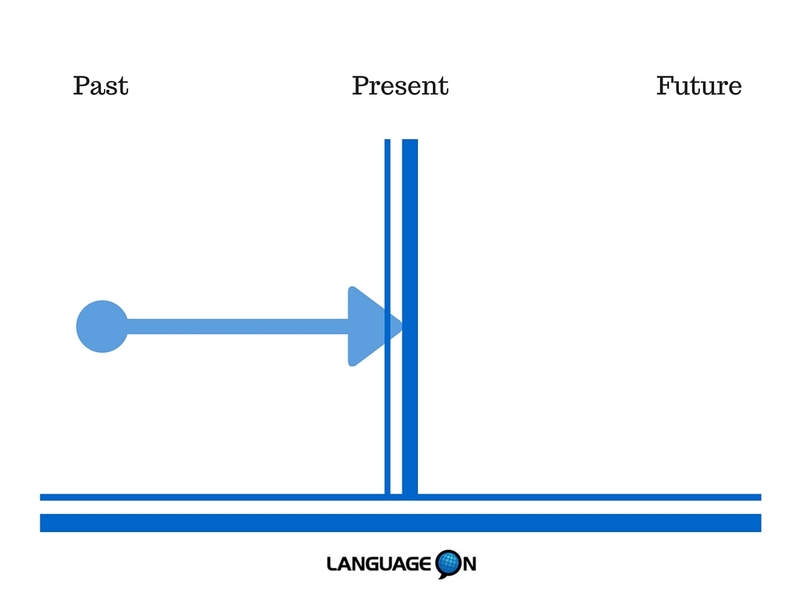 I hope this lesson helped you understand the present perfect in English. Please comment below with questions and/or comments. Make sure to sign up to receive our free newsletter with more free English lessons just like this lesson on the present perfect.